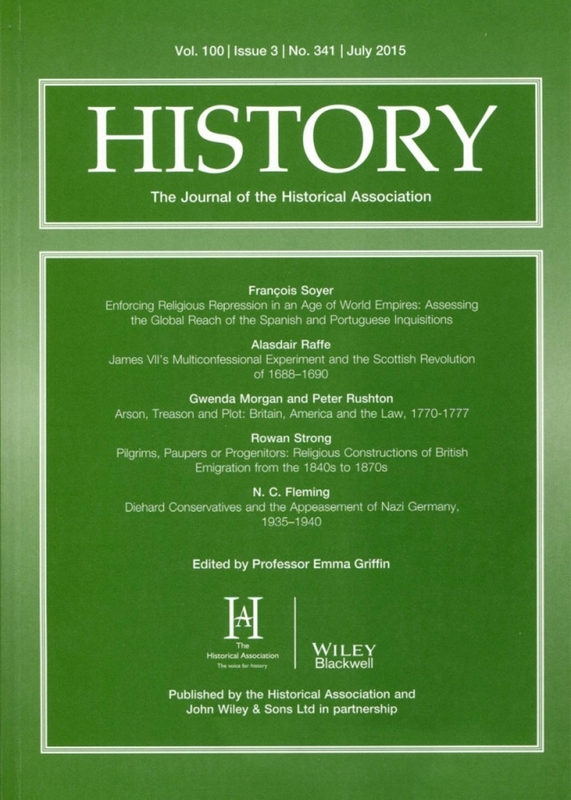 History is the Journal of the Historical Association. First published in 1912, History has been a leader in its field ever since. It is unique in its range and variety, packing its pages with stimulating articles, extensive book reviews, and editorial notes. History balances its broad chronological coverage with a wide geographical spread of articles featuring contributions from social, political, cultural, economic and ecclesiastical historians. An integral part of each issue is the review section giving critical reviews of the latest scholarship. All past editions of History are accessible as full journals or as articles (hosted by Wiley Online Library). These can be accessed if you are a member who is also subscribed to History.